I can drive. I can drive. I can drive! Whoop! It is so freeing. Here are a few pictures. People have been so interested in the foot pedal situation so I figured I would share with everyone exactly how driving with my left foot works. 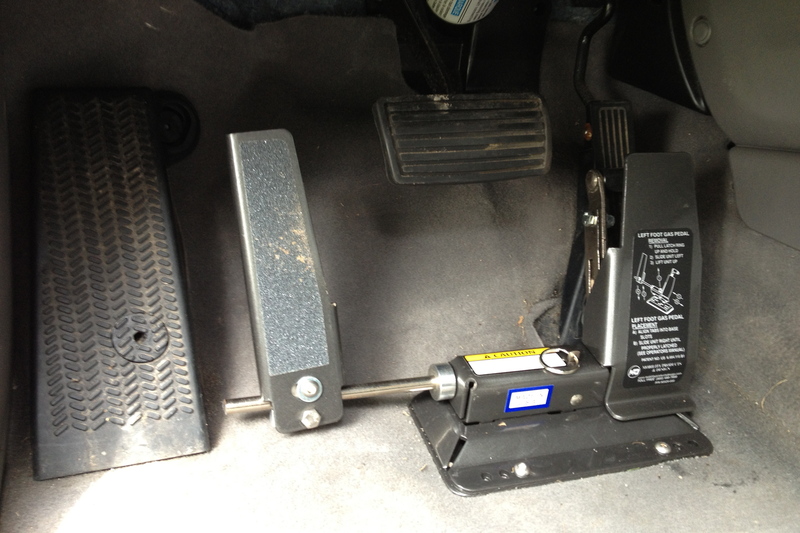 The left pedal has a bar that goes over to the regular gas pedal. So when I push the pedal on the left, it in turn pushes the regular gas. There is a plate over the regular gas so I can not push it on mistake with my right foot. This is also nice because I have somewhere to rest my boot without worrying about it getting in the way. It took some getting used to. I have to go to a driving class two different days. I practiced indoors with fake pedals at first. And then drove the school’s car for about 45 minutes each day. The instructor took me through all different types of area so I would get used to driving in stop and go traffic, on the highway, on small side roads etc. 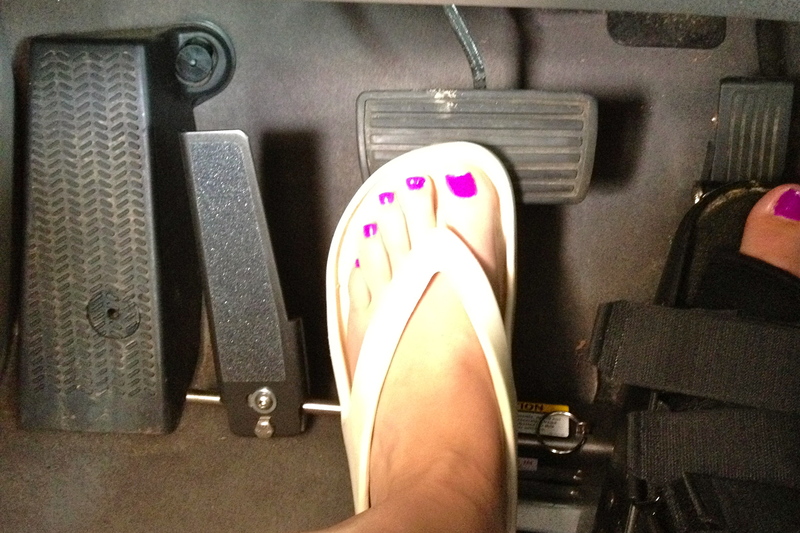 I then had to get an amended drivers license that says I am allowed to drive with special equipment. It also pops right out so that if someone else needs to drive my car they can.